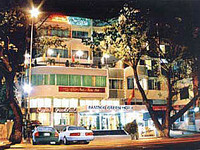 Da Nang City Hotel, Da Nang City Hotel reservation system. In current, Da Nang has 145 hotels with a total number of 4,383 rooms, including 5 star hotels, 2 hotels with 4 star standard and 17 hotels with the standard of 3 stars with nearly 2,066 rooms, In order to meet all needs of over 8,000 tourists to Da Nang at the same time. 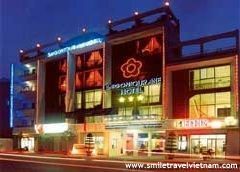 All big hotels are mainly located in five districts including Hai Chau, Ngu Hanh Son, Thanh Khe, Lien Chieu and Son Tra. 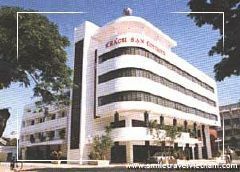 Hai Chau is also an administrative, commercial and service center of Da Nang, therefore it also has the biggest number of rooms as well as hotels. 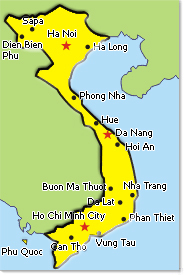 It is estimated that from 2010 to 2012, Da Nang will have more 45 new projects, providing about 7,000 rooms from 3 to 5 star hotels in which two third of the project is located in Ngu Hanh Son with the number of 4,300 rooms.